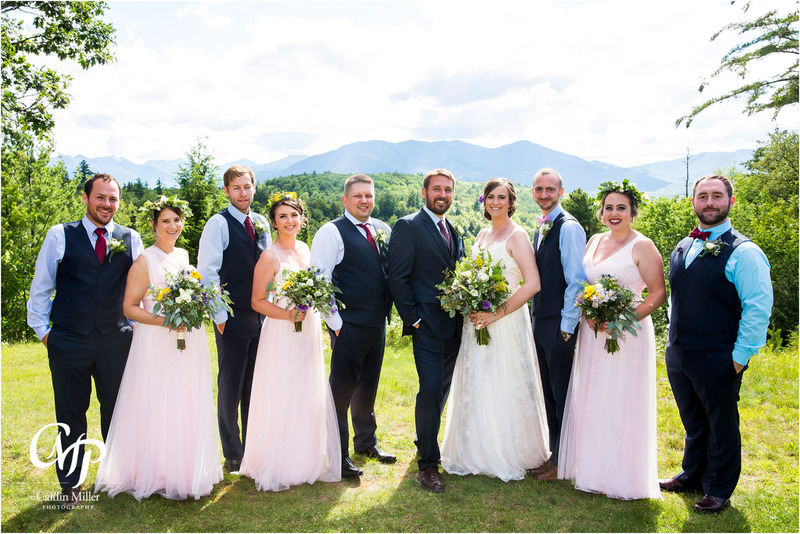 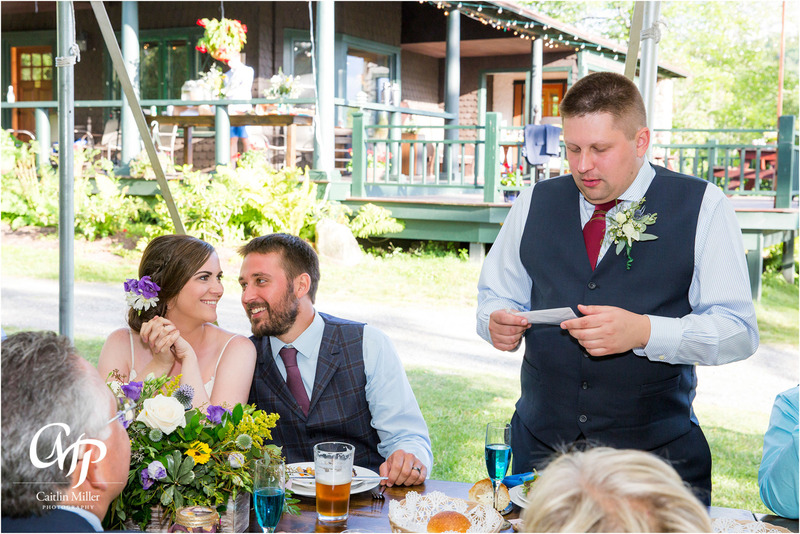 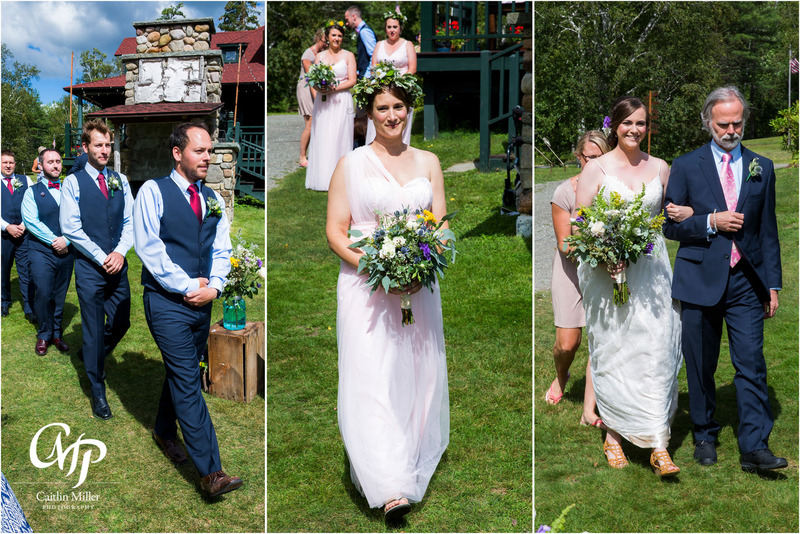 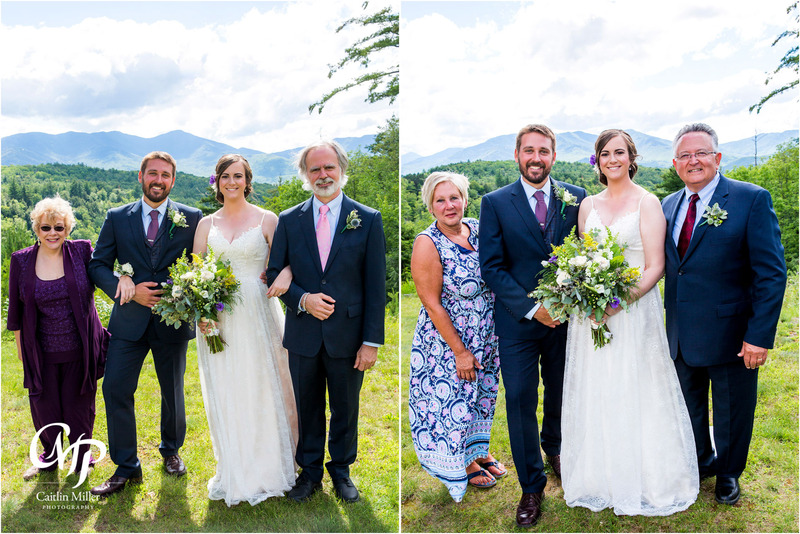 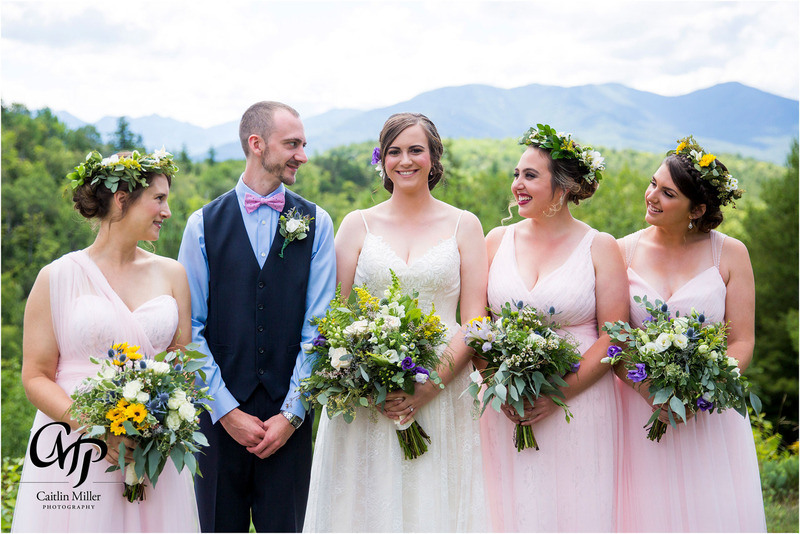 Kristen and Mark’s beautiful Adirondack wedding began at the Mountain House, in Keene NY, in the High Peaks region of the Adirondacks. 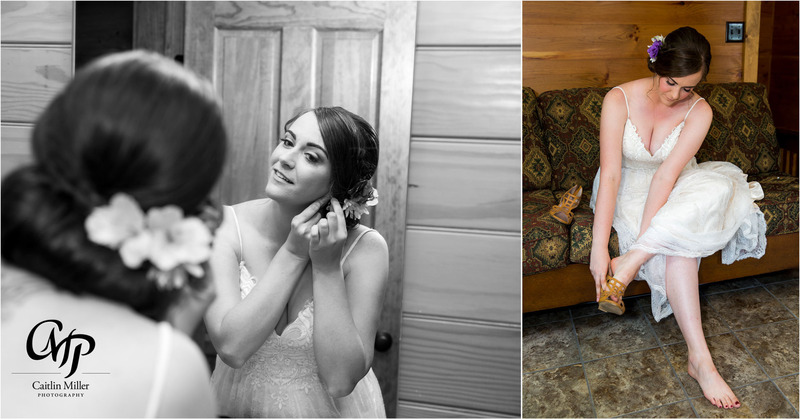 Kristen had her hair and makeup done by the talents girls at Blush 518, and slipped into her stunning lace and corset dress with the help of her bridesmaids and mother. 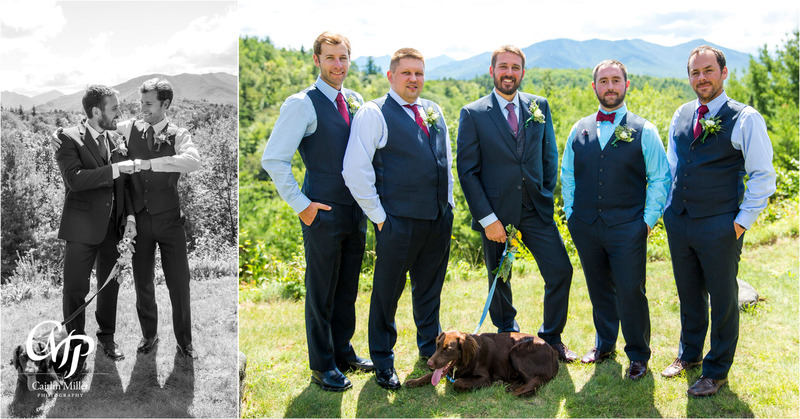 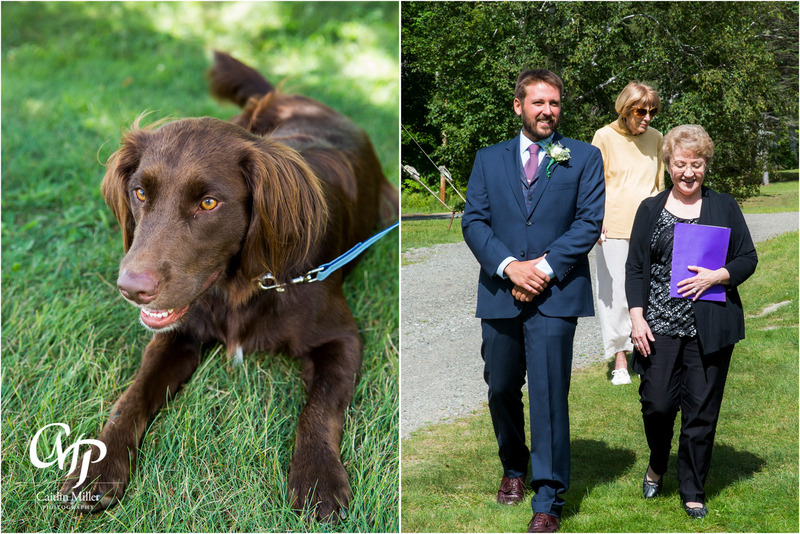 The beautiful bride fastened her heels and pinned an Adirondack themed boutonniere onto her brother and “Man-of-honor.” Mark, joined by his groomsmen, enjoyed some pre-ceremony beers and took some fun photos including the couple’s sweet dog. 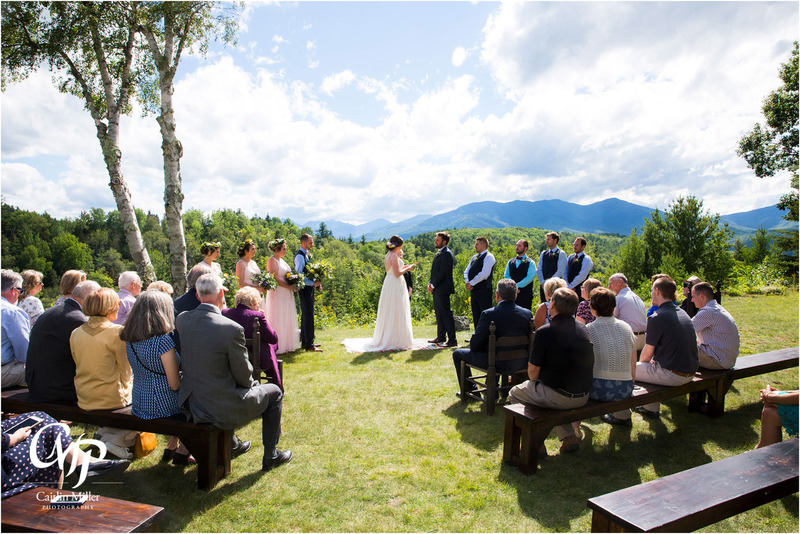 The short and sweet ceremony followed on the lawn of the Mountain House, overlooking the High Peaks of the Adirondacks. 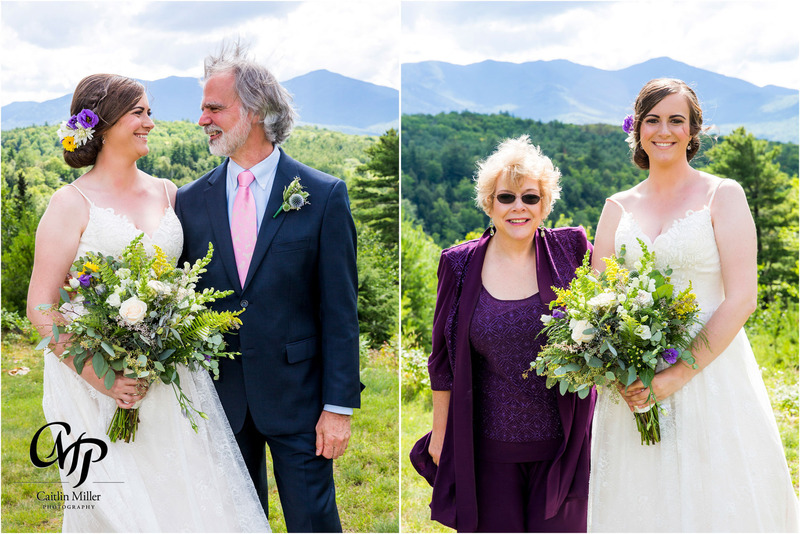 Kristen was escorted down the aisle by her father, to be greeted by an emotional but smiling Mark. 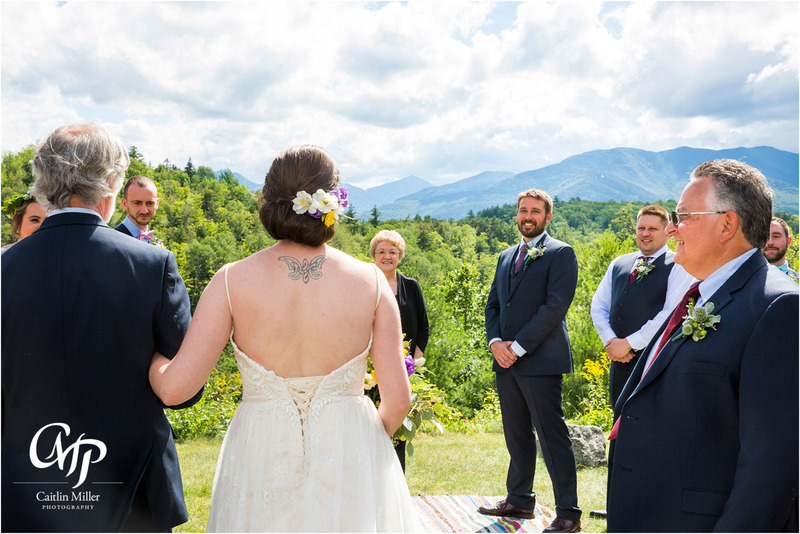 The bride and groom exchanged vows and shared their first kiss surrounded by the mountains they love and their friends and family. 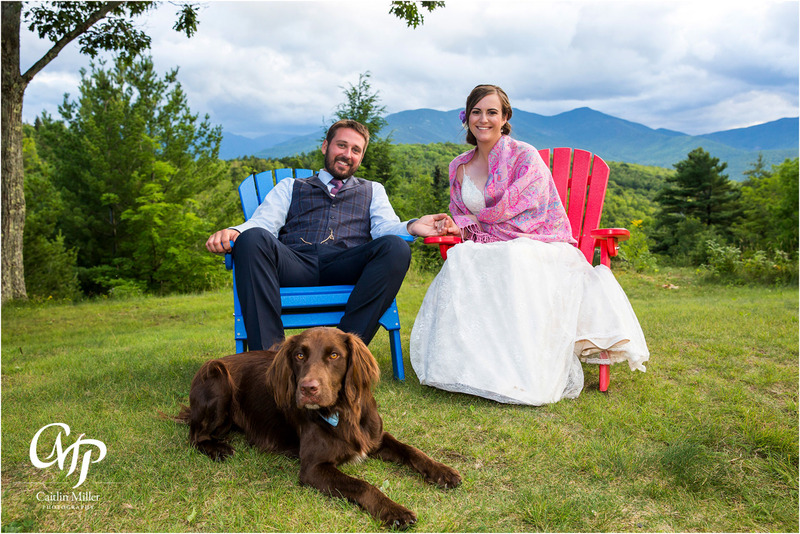 Following family photos, this awesome couple joined me on a true Adirondack wedding adventure. 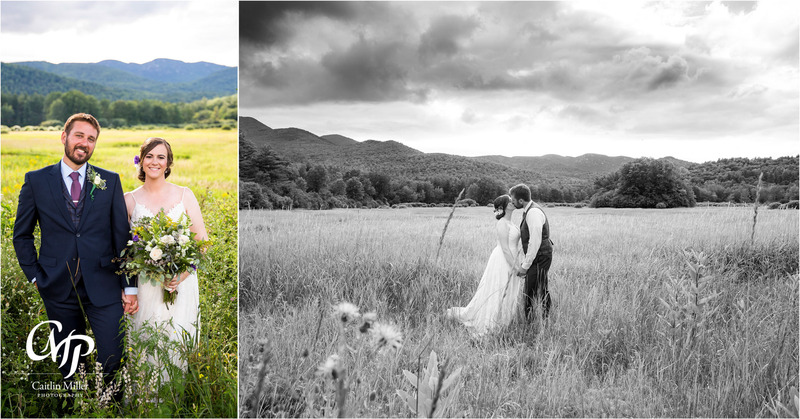 We visited fields, mountains, rivers and scaled waterfalls to get the perfect Adirondack wedding photos. 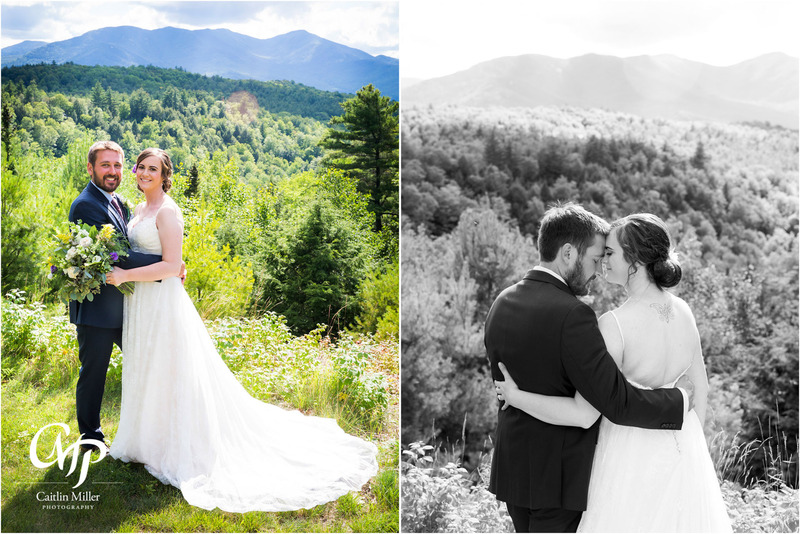 The mountains and adventure meant a lot to this couple, so we went all out! 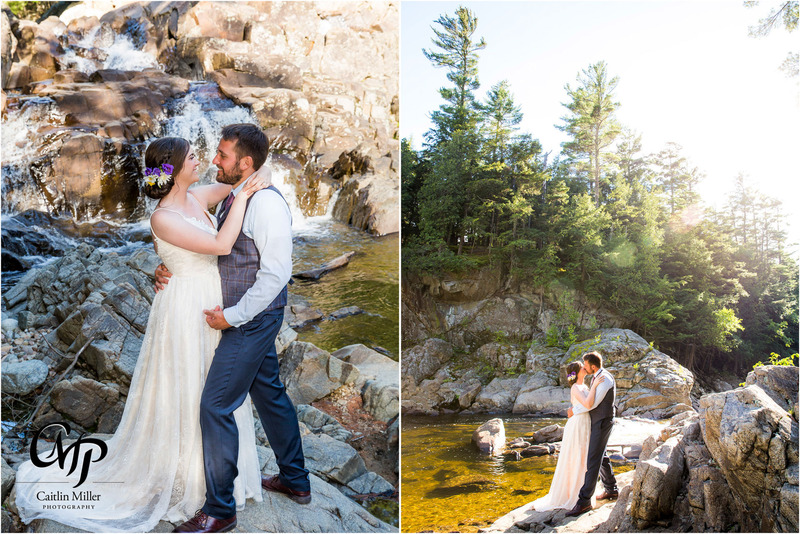 Kristen even switched into her Birkenstocks to be able to climb a waterfall for the perfect shot! 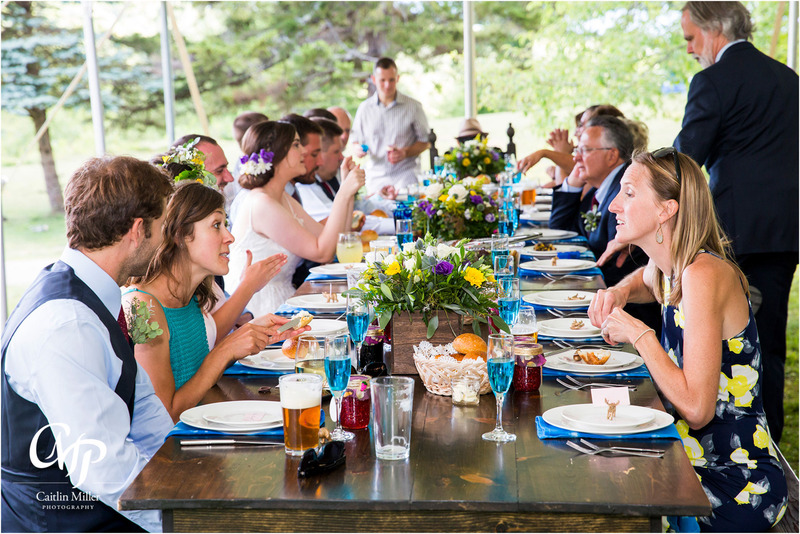 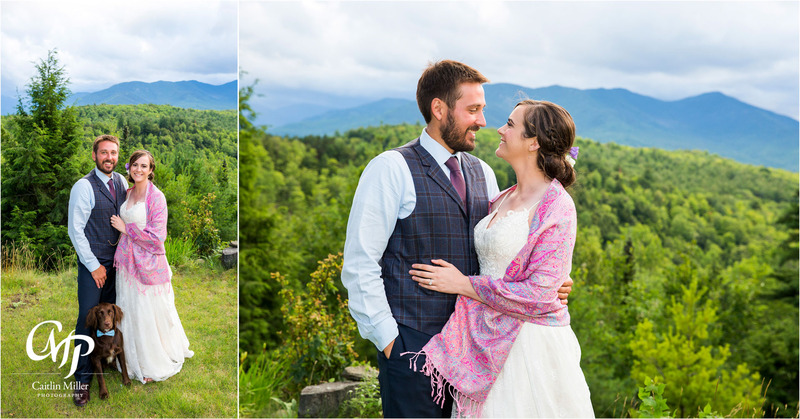 After our photo adventure, the newlyweds enjoyed a picnic style meal in the tent at the Mountain House, served by Deliciously Different catering. 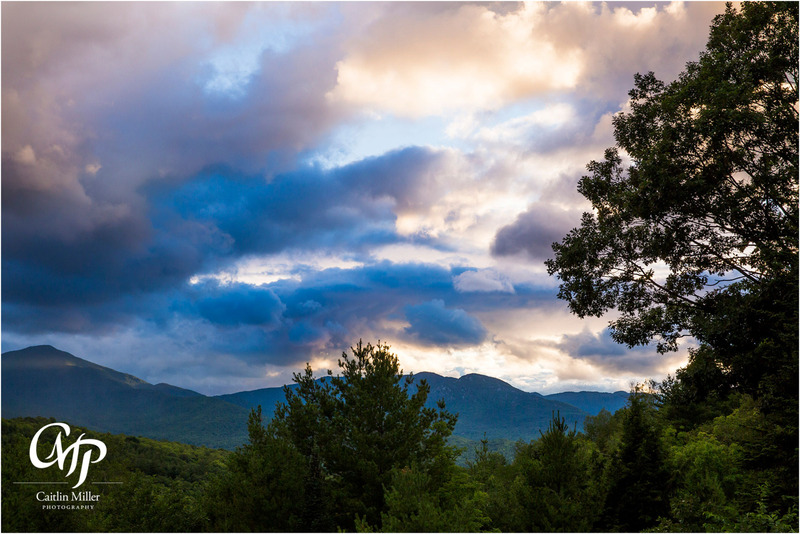 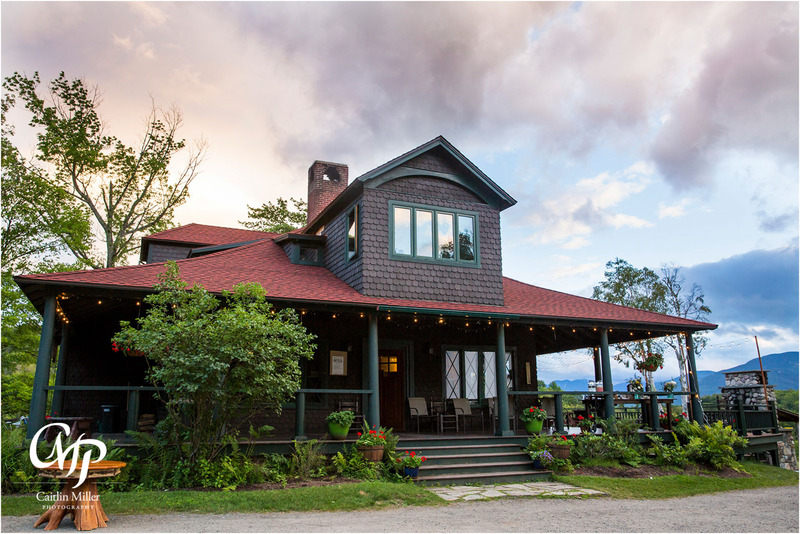 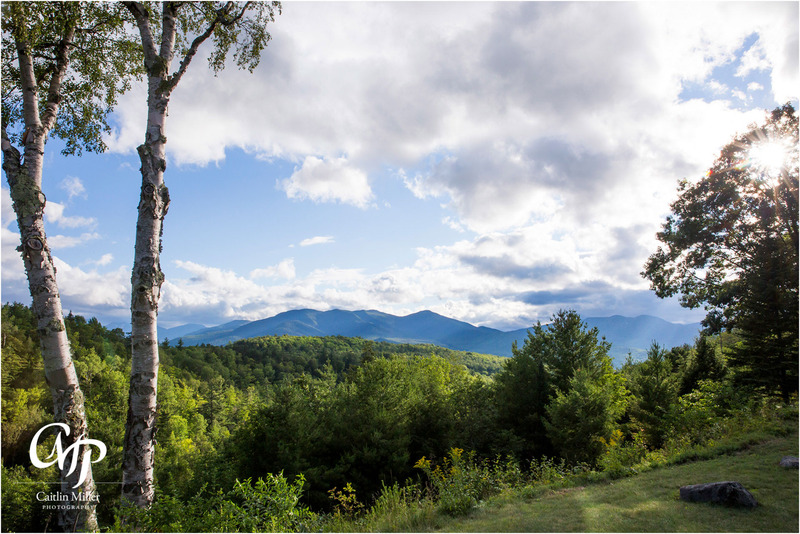 Laid-back guests enjoyed the views, and played lawn games in the Adirondack mountain air. 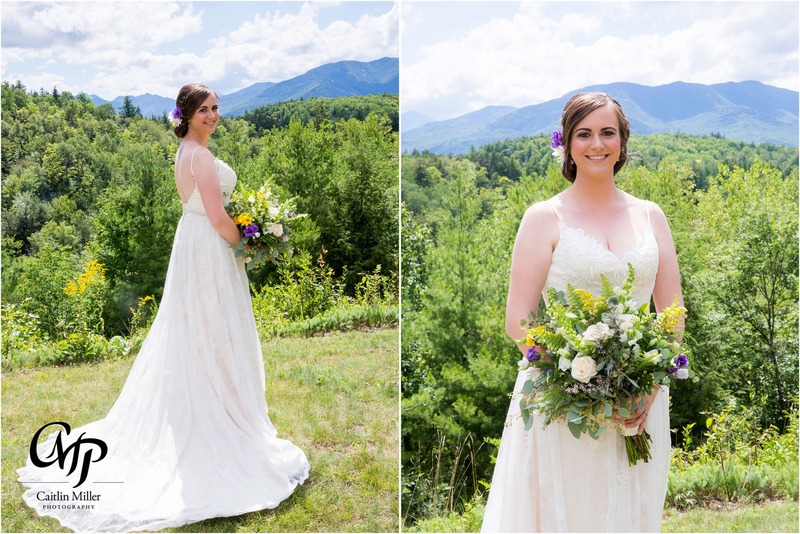 Kristen and Mark shared a first dance on the Mountain House deck, overlooking the view. 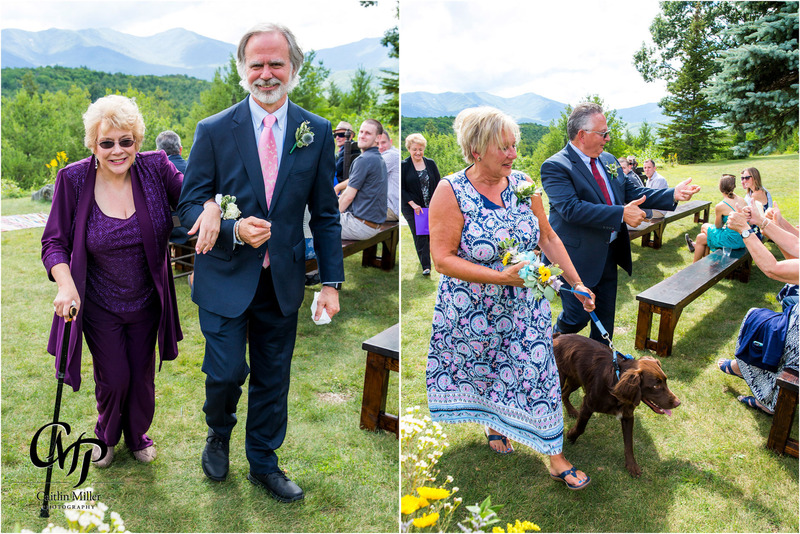 Parent dances followed, along with speeches and cake sitting (beautiful cake provided by the Lake George Baking Company). 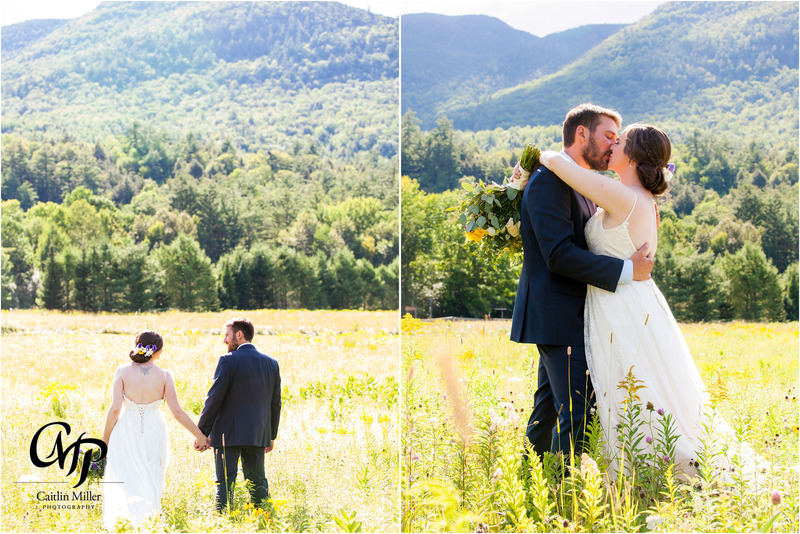 The couple’s evening was highlighted by a rainbow and stunning sunset over the mountains. 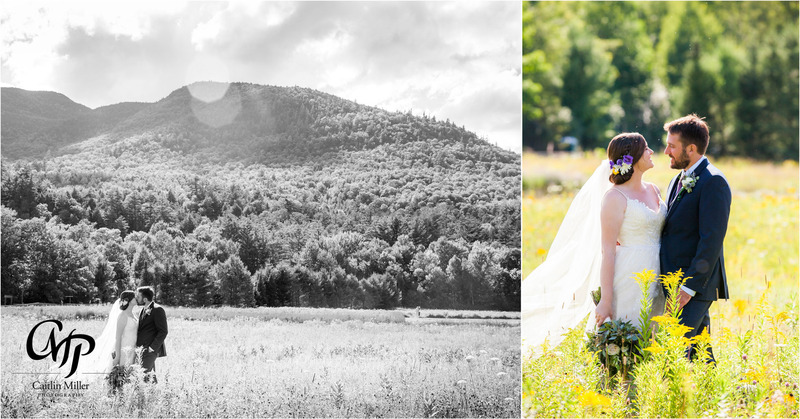 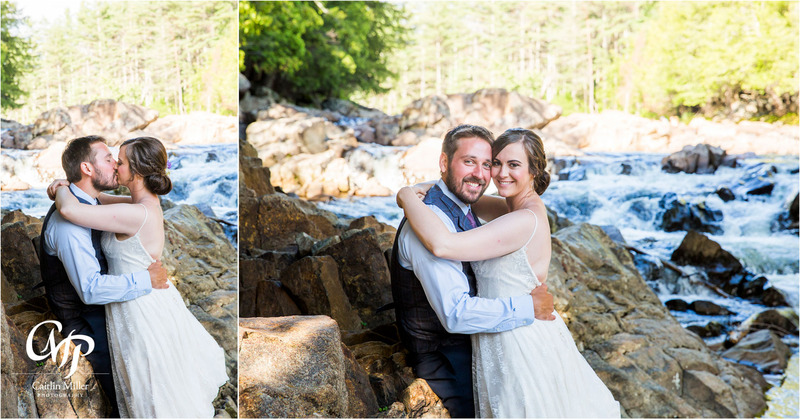 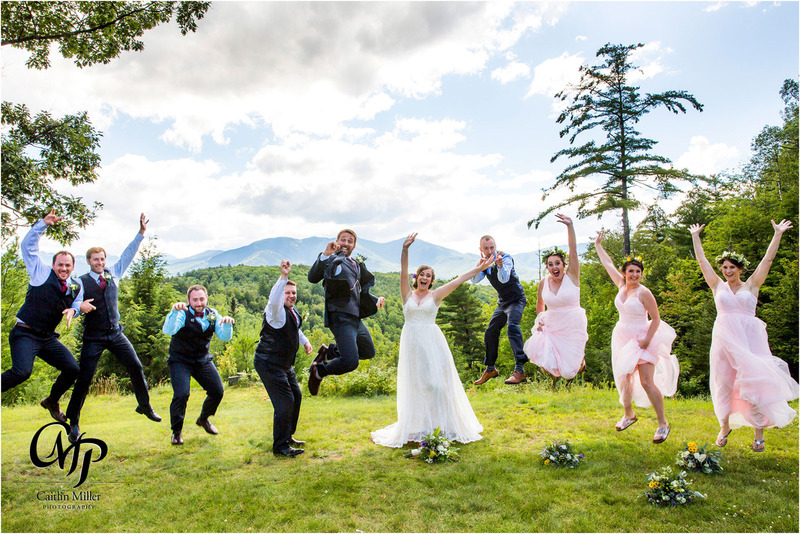 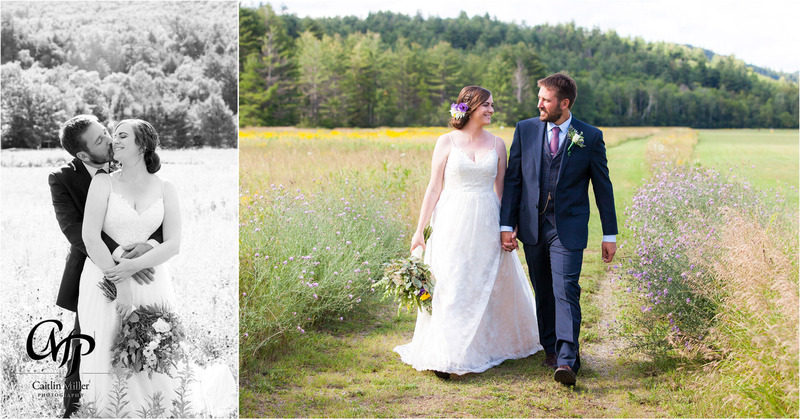 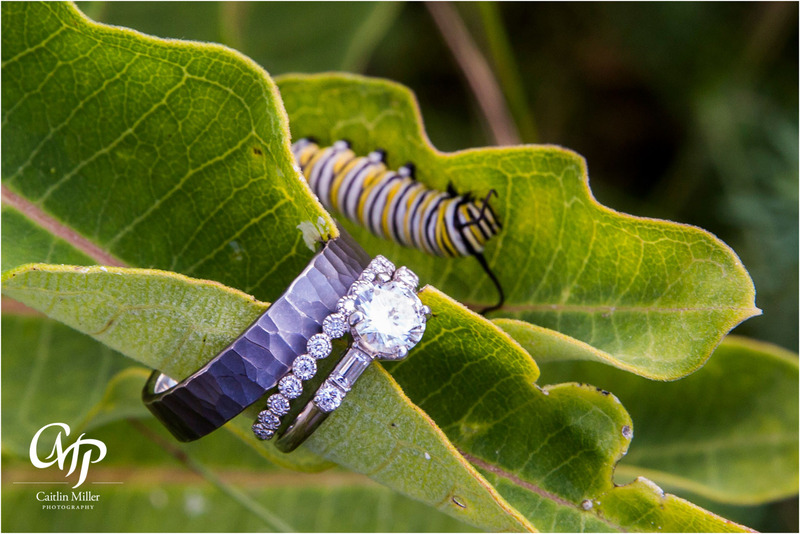 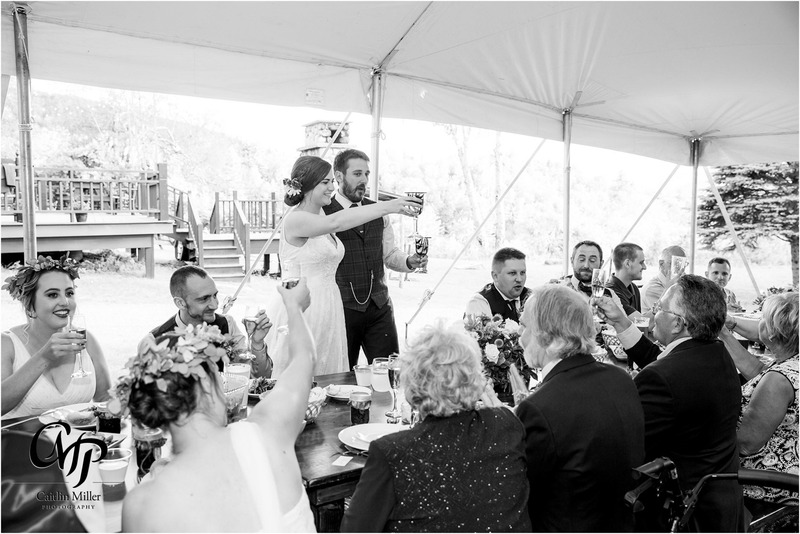 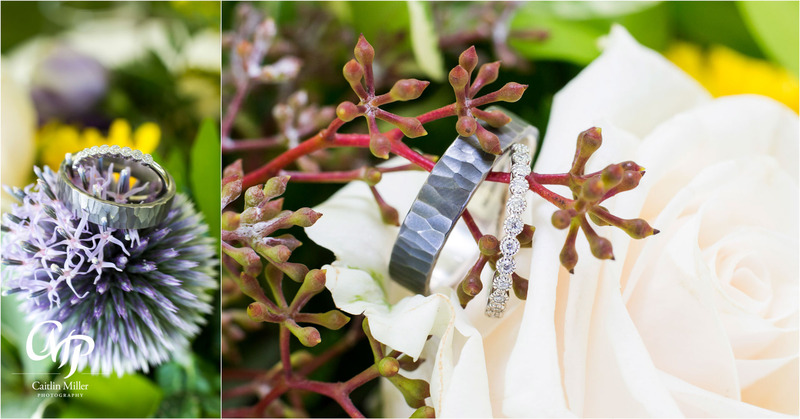 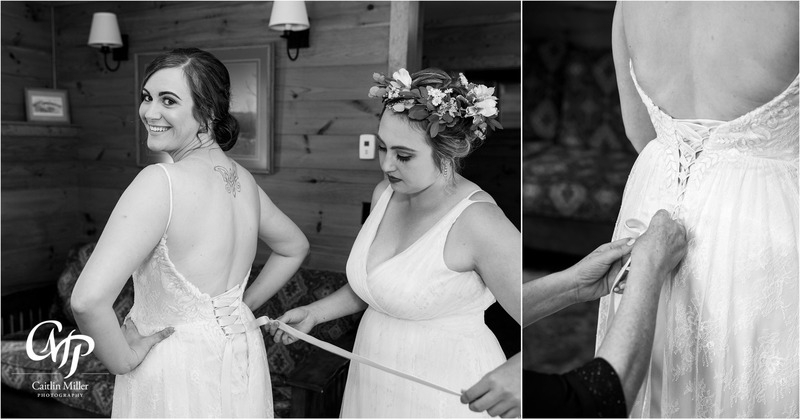 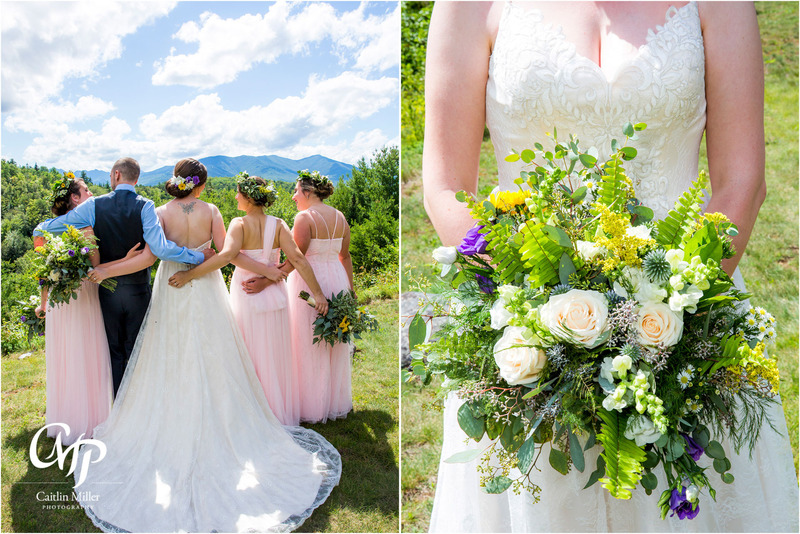 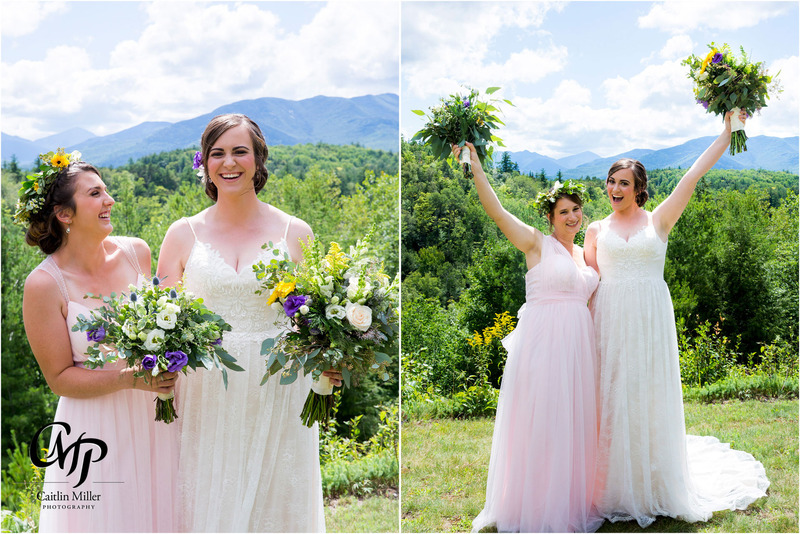 This Adirondack wedding was the highlight of my season and I love an adventurous couple! 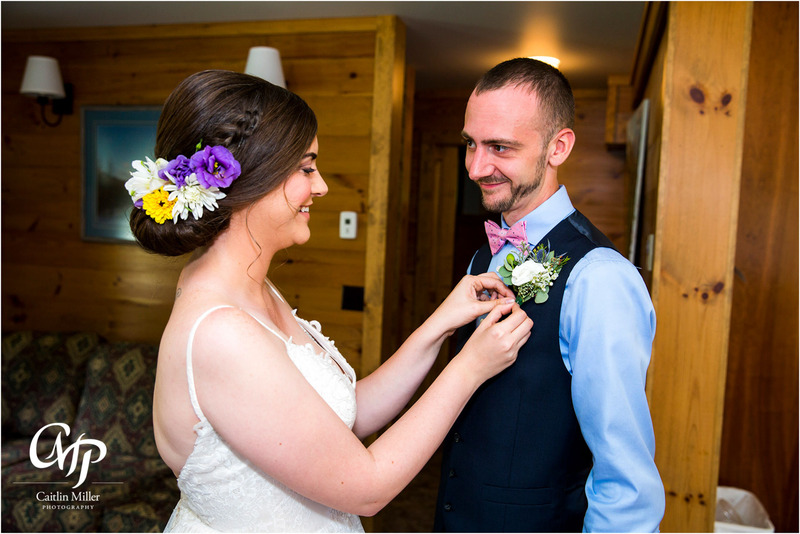 Shoutout to Kate Taylor Weddings and Events for helping to make the day flawless! 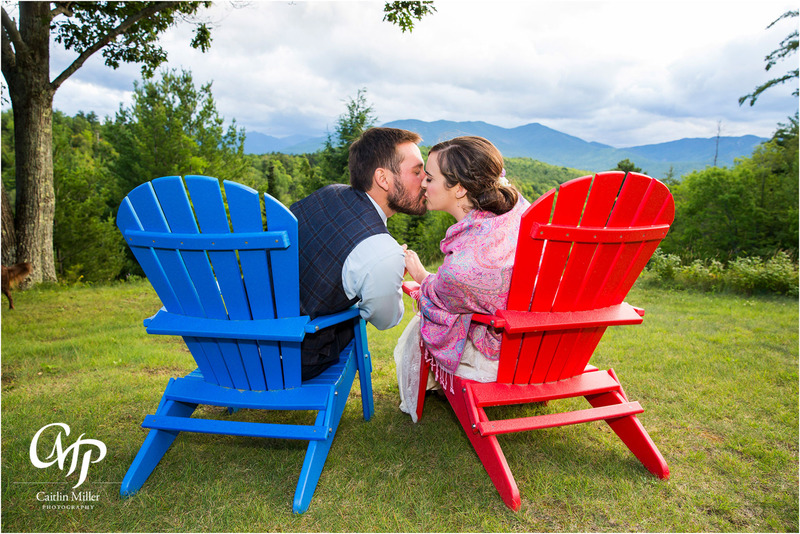 Best wishes to this fun-loving couple – and safe travels as they begin their next adventure – a move to Switzerland!! 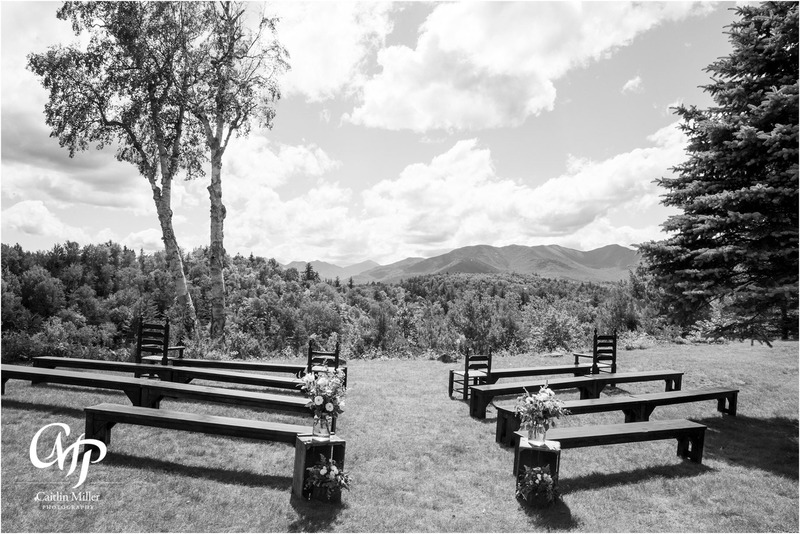 CMP also offers Wall Art Design Sessions to design wall art with your wedding photos onto your own walls. 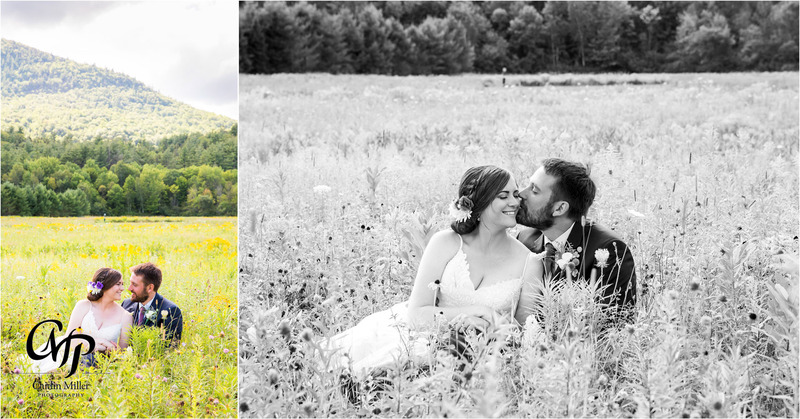 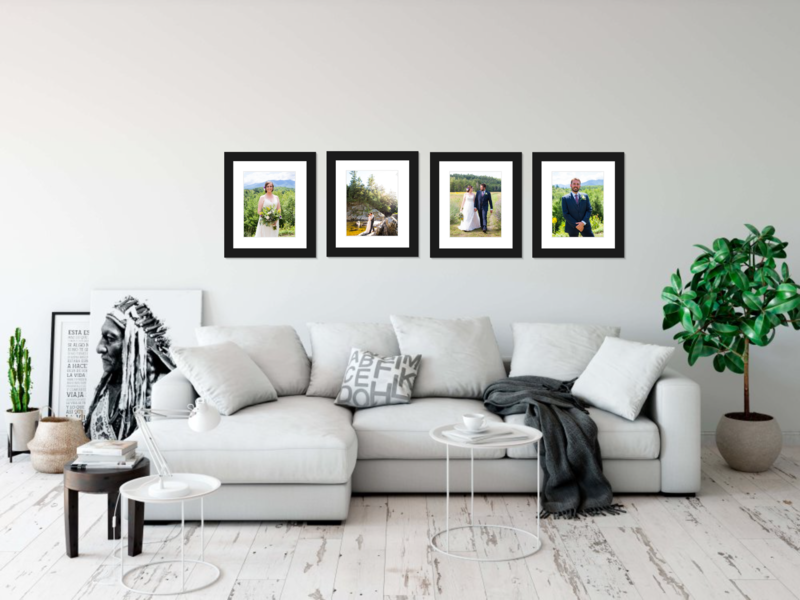 Check out how Kristen and Mark’s wedding photos look on the walls of their home!